Col Gary W. Fredricks, USAF Ret. & COL Webb W. Ellis, USA Ret. 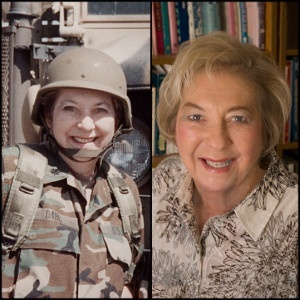 Two members of the Arizona Chapter MOAA were inducted into the Arizona Veterans Hall of Fame at the ninth annual induction ceremony on the 29th of October 2010 at the El Zaribah Shrine Auditorium, Phoenix, AZ. 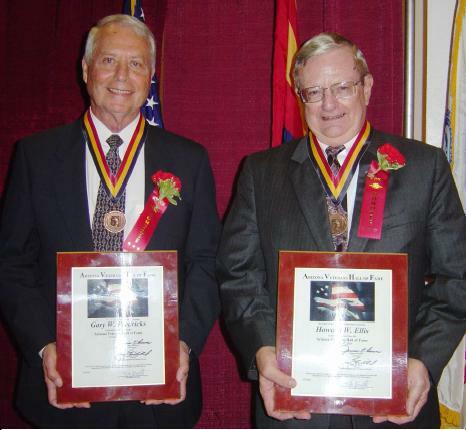 The Arizona Veterans’ Hall of Fame Class of 2010 included Col Gary Fredricks, USAF Retired and COL Webb W. Ellis, USA Retired. Although not a member of the Arizona Chapter when she was nominated for the Arizona Veterans Hall of Fame, LT COL Jeannine Carol Dahl, USA Retired was also inducted in this Class, later joining the Arizona Chapter. They join the 16 previous inductees from the AZ Chapter of MOAA receiving this prestigious recognition.